Based in Stockton on Tees, we provide property consultancy services throughout the North-East. We provide a wide range of services to both residential and commercial sectors. Whatever service you require you can expect expert and professional advice delivered on time in a friendly manner. 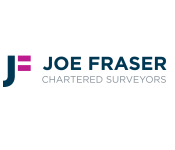 Our surveyors are members of the Royal Institution of Chartered Surveyors (MRICS) and all valuations are completed by RICS Registered Valuers. Get in touch today to discuss your requirements. Thorough, efficient, friendly, personable - they responded quickly to our inquiry, our survey was organised efficiently, and the report easy to access and pay for. We even were able to arrange for our surveyor to contact us during the evening as we weren't available before - he was friendly, with a good sense of humour, and was able to clear up some concerns we had no problems. Overall, excellent service.